Found 6 file extension associations related to Metro 2033 and 6 file formats developed specifically for use with Metro 2033. 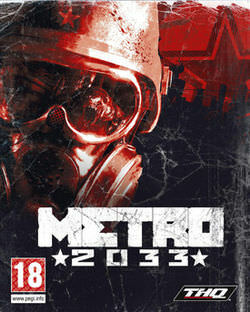 Metro 2033 is a horror post-apocalyptic first person shooter computer game based on the Metro 2033 novel by Russian author Dmitry Glukhovsky. It was developed by 4A Games and released in 2011. If you need more information please contact the developers of Metro 2033 (4A Games), or check out their product website.